Being a parent isn’t always easy, and is a critically important job 24 hours a day, 365 days a year. Our team can help you and your family navigate any difficulties and provide you with the skills and knowledge you and your children need to achieve happy and healthy lives. Parenting is the hardest, though most rewarding, job one can have. Establishing a healthy sense of self-esteem, confidence, focus and emotional security are core goals for any parent– but how exactly does one ensure the best success for their child? Good intentions and love are a great basis for parenting, and often come naturally. However prepared we may feel, though, we learn very quickly that there are situations and conversations we are not equipped to deal with at the level of understanding and helpfulness that our children might need. Our team offers support and guidance to parents, children and teens to help them achieve healthy family dynamics. Just imagine what your family could achieve without yelling, power struggles, threatening, or spanking. We are dedicated to helping your child or adolescent build and maintain confidence while assisting your children as they work through any challenges they or the family may be facing. We understand the complexities of family life and how complicated things can get when one or more family members may be struggling with their mental health. We are sensitive to your family and we will listen to what makes your family unique. We provide you with the most accurate advice and suggestions for minimizing and eliminating the issues that stand in the way of whatever goals you and your children wish to accomplish through counseling. Depression is more than just feeling a little sad or having a rough day. For someone with depression, the feelings of sadness can last a long time. 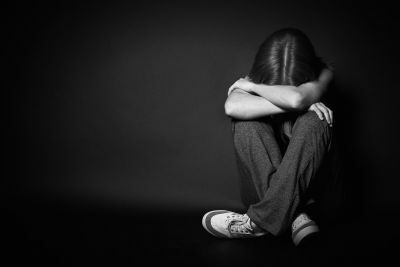 Depression can affect children and adolescents of all ages. Psychologists have found that self-injury can rapidly get rid of tension and other bad feelings. It's crucial that teens learn safe, healthy, effective coping strategies so they can deal with anxiety and stress appropriately into adulthood. There are times when increased conflict is outside the realm of what would be considered typical adolescent behavior. The increased conflict can become extremely detrimental and impact not only parents' relationship with their children but also your child's ability learn how to relate to their peers. Problems can arise leading to marked personality changes. Teens who are unable to verbalize their difficulties may resort to acting them out. 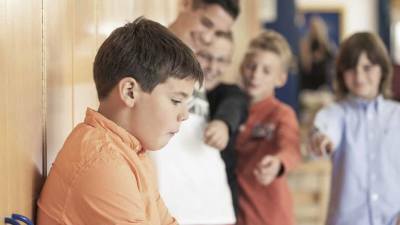 These "acting out" behaviors and/or personality changes can include increased verbal or physical aggression, increased irritability, anxiety, depression, drug use, internet addiction, sexual acting out, disordered eating, a recent lack of friends or a recent increase in conflict with friends, nonsuicidal self-injurious behaviors, and other such mental health problems. Counseling is an effective and natural way for you, your teenager, and your family to experience relief from these issues and move on from problems that don’t seem to go away. Research consistently shows that counseling helps teenagers, parents and families overcome emotional and behavioral problems. Our office provides a safe sanctuary for teens and families to express themselves, learn about themselves and each other, and mature into healthy adults and families. We want you and your family to have a better quality of life! And it’s completely possible!